To analyze and understand firm’s production decisions it is important to know the different types of costs they face during this process. 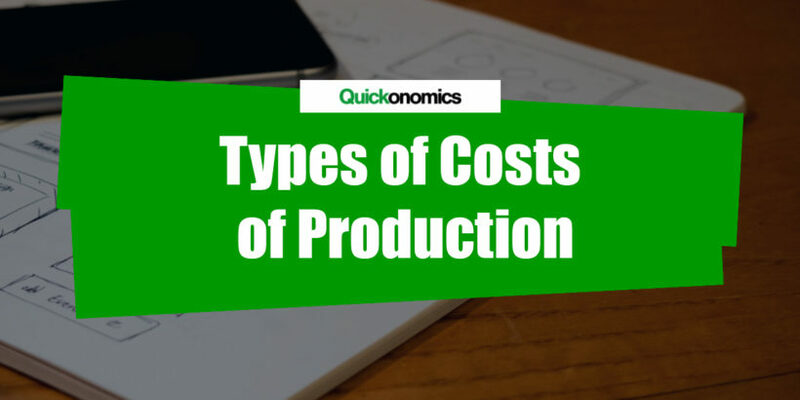 There are a number of different types of costs of production that you should be aware of: fixed costs, variable costs, total cost, average cost, and marginal cost. We will look at each of them in more detail below. Fixed costs are costs that don’t change with the quantity of output produced. That is, they have to be paid even if there is no production output at all. For example, if you want to open a burger restaurant, you will need to pay rent for your location. Let’s say USD 1,000 per month. This is a fixed cost, because it does not matter if and how many burgers you sell, you will still have to pay rent. Similarly you’ll have to pay your waitress’ salary, regardless of the quantity of burgers she serves. If she earns USD 1,000 per month, your total fixed costs add up to USD 2,000 per month. Variable costs are costs that change with the quantity of output produced. That is, they usually increase as output increases and vice versa. Unlike fixed costs, variable costs are not incurred if there is no production. Therefore, they are usually reported per unit. For example, in the case of your imaginary burger restaurant, the costs of meat, burger buns, lettuce, and BBQ sauce would be considered variable costs. Let’s assume all ingredients add up to USD 5 per burger. If you sell 20 burgers and your only variable costs are the costs of the ingredients, your total variable costs result in USD 100. By contrast, if you sell 200 burgers, your total variable costs add up to USD 1,000. If you don’t sell any burgers at all, your total variable costs are zero. Simply put, you don’t have to buy buns if you are not going to serve any burgers. Total cost describes the sum of total fixed costs and total variable costs. It includes all costs that are incurred during the production process. Again, let’s say you managed to sell 200 burgers in your first month. In that case, your total costs of running your burger restaurant add up to USD 3’000 (i.e. USD 2,000 fixed costs + USD 1,000 variable costs). 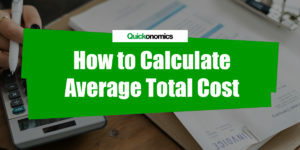 Average cost is defined as total cost divided by the quantity of output (i.e. the number of units produced). This is an important factor when it comes to making production decisions, because it tells us how much a typical unit of output costs. In addition to average total cost we can also calculate average fixed cost (i.e. total fixed costs / number of units produced) and average variable cost (i.e. total variable cost / number of units produced). In our example above, the average total cost of producing a typical burger is USD 15 (USD 3,000 / 200 burgers). Meanwhile, the average fixed cost is USD 10 per burger and average variable cost adds up to USD 5 per burger. Marginal cost is defined as the cost of producing one more unit of output. That is, it tells us by how much total cost increases if an additional unit is produced. Marginal cost is an important factor for decision making in the context of production processes, because it can be used to calculate the optimal level of output (see also Profit Maximization). For example, let’s assume that instead of 200 burgers, you sell 201 burgers. Now, total cost is USD 3,005, which equals an increase of USD 5. Thus, the marginal cost of producing the 201st burger is USD 5 (USD 5 / 1 burger). 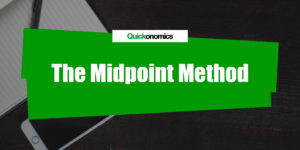 To analyze and understand firms’ production decisions it is important to know the different types of costs they face: fixed costs, variable costs, total costs, average costs, and marginal costs. Fixed costs are costs that don’t change with the quantity of output produced. Variable costs are costs that change with the quantity of output produced. Total costs are the sum of total fixed costs and total variable costs. 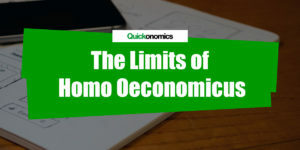 Meanwhile, average costs are the total costs divided by the quantity of output produced and marginal costs are the costs of producing one more unit of output.